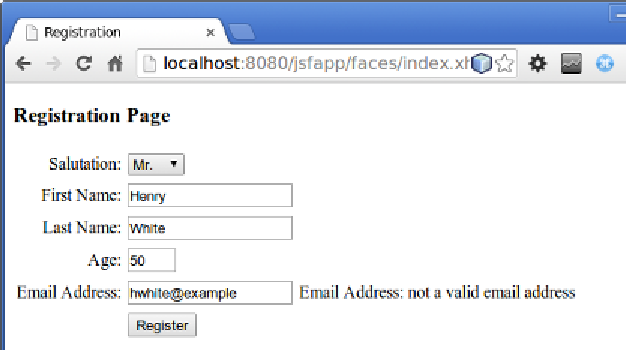 @FacesValidator annotation in our validator. Now, we are ready to test our custom validator. as the error text by the <h:message> tag for the field. need to change the template and the change is reflected in all the template clients.